I want my Rack Back At My HEB Plus…Please! » Bicycling for the Heck of It! I want my Rack Back At My HEB Plus…Please! 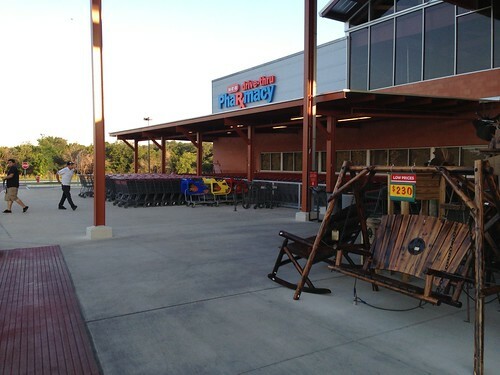 I’m so glad that the new HEB Plus near my house has bicycle racks. Sadly I’ve seen them reduced to shopping cart storage, motorcycle parking and picnic table storage. I live less than a mile a away and often take my bicycle to go grocery shopping at this great store. Lately, finding a place to lock up is becoming rare. Can we please have the bicycle racks for Bicycles! Not Motorcycles, golf carts, shopping carts and picnic tables. 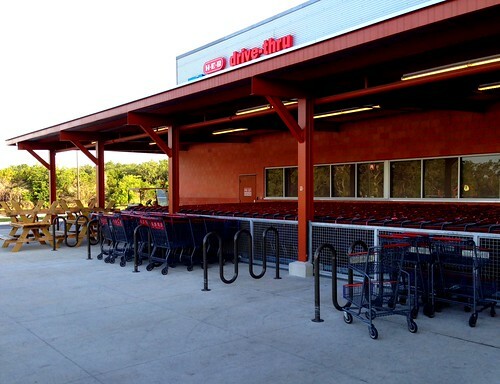 I often blog about my cycling trips and have praised HEB many times from following the city bicycle master plan by adding bicycle racks to newer stores. However, I don’t think the city code was intended for motorcycles, shopping carts and picnic tables. 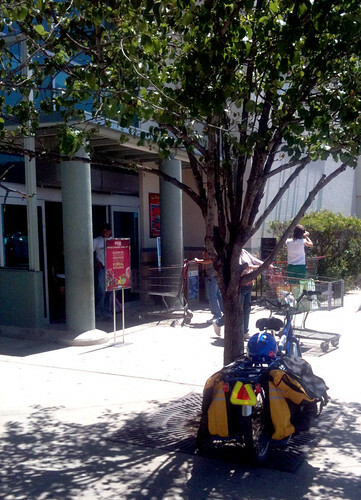 Earth Day Trip to HEB previous location… you can tell I like the bike racks at the new store! Please restore the bicycle racks for Bicycles and might I suggest a no Motorcycle Parking sign. It’s there a liability if one of these motorcycles falls on a customer or a customer gets ran over. 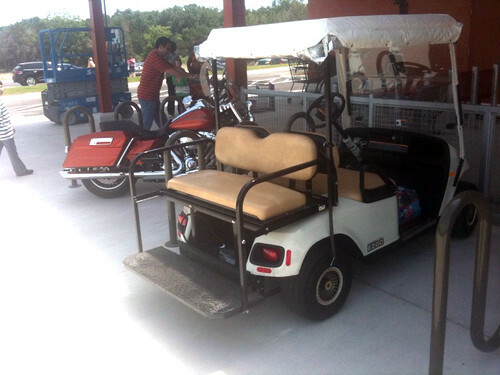 I’ve even seen employees ride up the handicap ramp on their motor cycle to park in the bicycle rack. I love my HEB and hope to continue to shop there in a healthy and earth friendly way! A photo from my visit last week of June 2013. Sad the cart guys have no problem parking carts here. Only a few open spaces. I'm surprised Motorcycles are not in them as they usually are. July 6, 2013 Even fewer Bikes Racks just a week later from the June Photo. No Response from HEB Yet. I’m re-sending my July 2, 2013 letter to HEB via their website on July 8th, 2013.